HPI Prefab - Manufacturer of pre engineered building, decking sheet & pre coated coil since 1998 in Noida, Uttar Pradesh. Use House, ware houses, factory shed. HPI offers one of the most comprehensive Pre-engineered steel buildings-PEB product portfolios globally, with applications in major market segments including heavy industry, infrastructure, high-rise buildings, warehouses, factories, oil and gas and leisure structures. 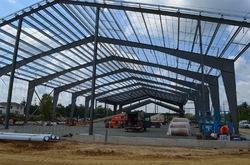 The company maintains a strong reputation for delivering customer- designed and cost- effective solutions for steel buildings that are manufactured to the highest quality standards, and a committment to providinge top class service to its customers. Our commitment to excellence provides unmatched product quality. international standards of steel design and strength. This decking profile can be used as a composite floor system as a platform to work. It binds with concrete slab and together forms a parts of the floor structure. The interlocking between the concrete and the floor deck occurs by a system of embossment and ribs that are built into the deck creating a reinforced concrete slab this fast and simple installation using high strength product give immediate access to a working platform of permanent form and positive reinforcement. HPI has launched this Product in Utter Pradesh Himachal Pradesh, Punjab, Haryana Rajasthan and our target is to increase market share in couple of years. HPI Pre- Coated Roofing Sheets have very Low Maintenance, High resistance to weather, strong, safe and durable, High strength to weight ratio, Leak proof, Thermally efficient. Quality policyWe at HINDUSTAN PROJECTS INDUSTRIES are committed for continuous improvement in the quality system. We shall endeavour for customer satisfaction by providing quality product through on time delivery, enhancement in turnover, control on raw material consumption trained motivated employees at all level. Discover the world of colors with HPI pre painted products. Our versatile color metal products make your dream building look stylish and elegant. We offer wide variety of colors for your selection which comply with international RAL system, the international standard for the standard colors used in architecture, construction, industry and road safety. HPI products are made from carefully selected raw material and strict quality adherence policies. Our long association with steel industry and strong technical know-how enables us to choose the best raw material quality and deliver the best to you. The raw material used (Pre painted galvanized sheet, Galvalume sheets) possess some inherent qualities which enhances the durability and endurance of the finished product. Weathered ventilation working on the principle of “Stack Effect” is best suited for most industrial commercial buildings and can provide both day to day ventilation and smoke extract as well. Additionally, permits the entry of natural daylight too. Purlins are secondary members of steel structures. It serves as the basic material for construction of fast-track projects. 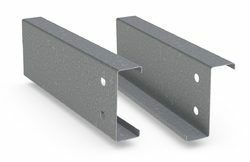 These purlins are characterizes by high strength, yet low cost (as a result of high strength to weight ratio)These purlins are supplied in required sizes and length with pre punched holes for quick bolting. 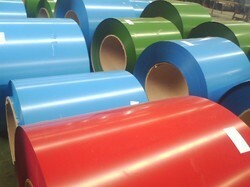 The production system deployed consists of international standard cold- roll forming technology. It uses high quality machines with on line measuring, cutting, punching and forming to provide assured dimensions and straightness and overall supreme quality product. 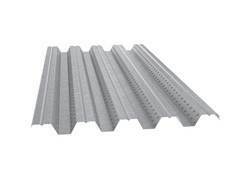 These purlins are widely used in commercial and industrial buildings, steel structures, shed and awnings as well as in racking and wall cladding of the sheets. Tremendous growth/surge in the industrial sector has led to an increased demand for pre-engineered building. HPI PREFAB is manufacturing pre–engineering building and designed to be created in shortest possible time. At our team of experts are engaged in designing, fabrication & installation of PEB. We offer comprehensive solution for all building needs. 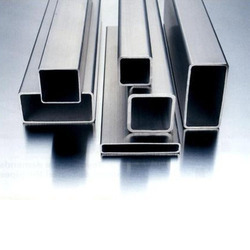 Almost care is taken to ensure high quality standard using testing quality steel source from premier producers only. Pre Engineering Building are the state of art steel solution to developing an efficient and cost effective infrastructure. PEB offer ultimate design flexibility and an extremely short construction time. 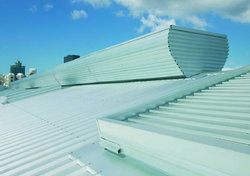 They are supplied as a fully finished product along with steel structure, roofing, cladding and building accessories. They required no fabrication or welding they can simply be bolted together as pre specification. By: Roots Cooling Systems Pvt. Ltd.